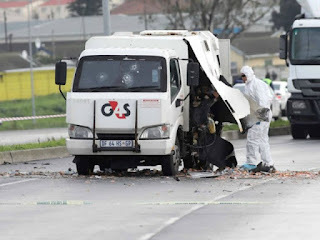 Cash-in-transit robbers struck again, shooting and blowing up a G4S cash-in-transit van. The brazen heist took place just 200 metres away from the Philippi police station. 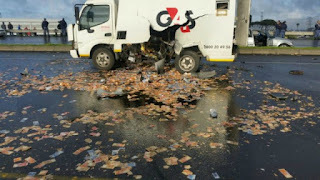 Cash-in-transit robbery is one of the fastest growing forms of aggravated robbery in South Africa. There was an increase of over 110% in the past four years – from 179 incidents in 2014 to 376 in 2017. The figure already stood at 162 incidents in April. What is particular about the robberies is their brazenness and the violence associated with them. Equally concerning is the apparent inability of the criminal justice system to stop them. Gangsters seem mostly unaffected by what the police do. Out of 74 cash-in-transit robberies in Gauteng between January and May, the police made arrests in only 11 cases. Corruption may be to blame. Research into cash-in-transit gangs found high levels of complicity by criminal justice officials and police.